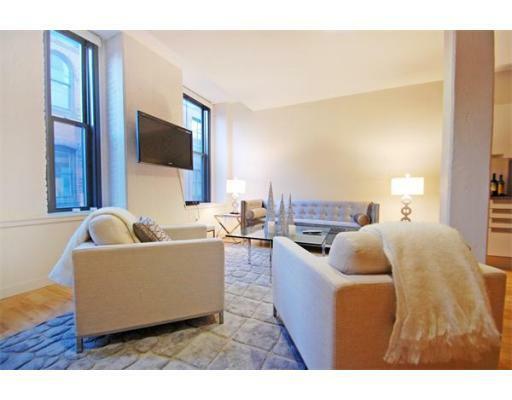 Fabulous & desirable 660 Square Foot open-layout Luxury Studio Loft in The Seaport District's vibrant Fort Point Channel. Premier and new NYC / SoHo- Style renovated factory / warehouse loft building at Fp3 Boston at 346 Congress Street. 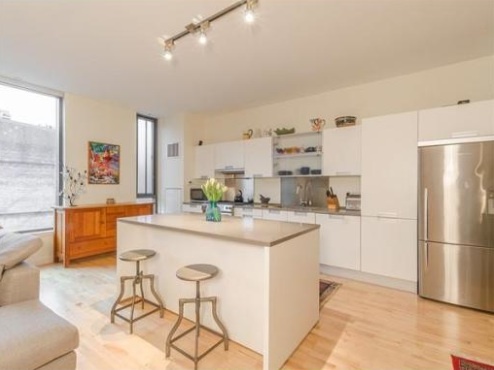 This 4th Floor Boston Loft boasts: Maple floors, designer kitchen, luxurious bath, soaring ceilings & oversized windows. Murphy bed & furniture available to purchase. Central AC, Washer /Dryer included. Fp3 Boston, a stylish 2008 renovation of historic buildings includes a fantastic common roof deck with fabulous views and a sophisticated gallery in the lobby that showcases local Artists! 6 months of rental garage parking is included, then available for $255/mo. 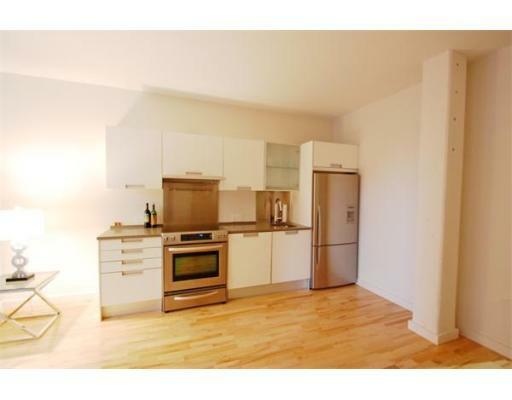 Live just steps to South Station, Financial District & the Boston Waterfront!